Has anyone read: The Antigonid Army byNicholas Sekunda? http://www.amazon.co.uk/Antigonid-Ar...antigonid+army Any experience with this book? Does anyone know any good books about the antigonid army? haven't read it, but the author is one of the leading academicians in the field, so it is definitely worth a look. added to the OP, thank you. I have two very good ones I am reading currently. Well I am reading dozens, but most do not probably interest fans of this era. As they are mostly Sixth and Seventh Century CE. However if you are I will gladly share. A fuller ano detailed description follows, I added because I felt it necessary to convey my recommendation for this title. As I do most books concerncerning cultural identity in Near East, particularly amongst the Greeks. Contributors: Niels Bargfeldt/Cecilie Brøns/Jane Fejfer/Solvejg Hansen/Signe Isager/Ifke van Kampen/Arja Karivieri/Jens Krasilnikoff/Eva Morten-sen/Christian Mühlenbock/Marjatta Nielsen/Nora Petersen/Rubina Raja/Sine Grove Saxkjær & Jan Kindberg Jacobsen/Stine Schierup/Lone Wriedt Sørensen/Christina Videbech/Kristina Winther-Jacobsen. Jane Fejfer is associate professor of classical archaeology at the University of Copenhagen. Mette Moltesen is former curator of Ancient Sculp-ture at Ny Carlsberg Glyptotek in Copenhagen. Tradition – from the Latin tradere, literally to hand over or hand down – has many meanings and as a concept has a long history in Western culture. When using archaeological remains to interpret the social relations of people of Antiquity, tradition becomes an important concept. We cannot explain change without knowing and being conscious of la longue durée of material culture. Thus, over a long-term perspective archaeologists seek to trace a record of continual change. This lavishly illustrated book takes readers from prehistoric Santorini to Late Antique Rome and discusses the role of tradition in the transmission of culture and the creation, maintenance and negotiation of identity in the ancient world. Covering a wide array of subjects, including cultic rituals and the use of magical objects and symbols, votive traditions in Greek sanctuaries, funerary portraits, and Iron Age pottery, Tradition reveals how culture inheres in each and how actions and objects alike play a role in the continuation and change of culture. With its thoroughly interdisciplinary approach, Tradition breaks new ground in the studies of the classical and ancient world. Last edited by Basileos Antiokhos Euergetes; September 09, 2015 at 01:50 AM. Has anyone mentioned The Fall of Carthage by A Goldsworthy? Great read with lots of detail on military matters. "I should like to see...the last king strangled with the guts of the last priest"
Could anyone share a link to good book, articles about Crete, please? 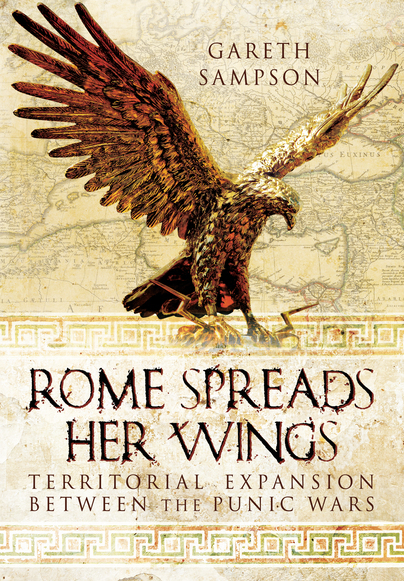 I'm interested in pre-roman (starting from neolithic) and roman time frame. Last edited by Demon Soul; September 15, 2015 at 12:05 PM. I have several in my library that deal with Bronze Age Aegean, not specifically Krete, but as to be expected a significant proportion is devoted to Minoans and surrounding cultures, trade etc. The Greek Bronze Age, roughly 3000 to 1000 BC, witnessed the flourishing of the Minoan and Mycenean civilizations, the earliest expansion of trade in the Aegean and wider Mediterranean Sea, the development of artistic techniques in a variety of media, and the evolution of early Greek religious practices and mythology. The period also witnessed a violent conflict in Asia Minor between warring peoples in the region, a conflict commonly believed to be the historical basis for Homer's Trojan War. The Oxford Handbook of the Bronze Age Aegean provides a detailed survey of these fascinating aspects of the period, and many others, in sixty-six newly commissioned articles. Oliver Dickinson has written a scholarly, accessible, and up-to-date introduction to the prehistoric civilizations of Greece. The Aegean Bronze Age, the long period from roughly 3000 to 1000 BC, saw the rise and fall of the Minoan and Mycenaean civilizations. The cultural history of the region emerges through a series of thematic chapters that treat settlement, economy, crafts, exchange and foreign contact (particularly with the civilizations of the Near East), and religion and burial customs. Students and teachers will welcome this book, but it will also provide the ideal companion for amateur archaeologists visiting the Aegean. This book introduces the reader to the historical and social contexts within which the arts - pottery, gold, silver, and ivory objects, gravestone reliefs, frescoes, and architecture - of the Aegean area developed. It examines the functions they served, and the ways in which they can be read as evidence for the interactions of many different peoples and societies in the eastern Mediterranean. It also provides an up-to-date critical historiography of the field in its relationship to the growth of ancient art history, archaeology, and museology in the nineteenth and twentieth centuries, giving a contemporary audience a clear appreciation of what has been at stake in the uncovering and reconstruction of this ancient society. The amazing discovery of the 'first European civilization' in Crete, Greece and the Aegean islands during the late nineteenth and early twentieth centuries was beyond what anyone had imagined. Beginning with the Neolithic period, before 3000 BCE, and ending at the close of the Bronze Age and the transition to the Iron Age of Hellenic Greece (c.1000 BCE), this is the first comprehensive introduction to the visual arts and architecture of this extraordinary era. Last edited by Basileos Antiokhos Euergetes; September 15, 2015 at 09:34 PM. I think I'll choose two of them (the prices ). I must get my hands on that book. If you guys don't mind my asking, what was the reference for the veils/turbans on the Maures? I don't mean that in any passive aggressive way, I'm just curious for if I can justify it for my berbers in the Attila period. 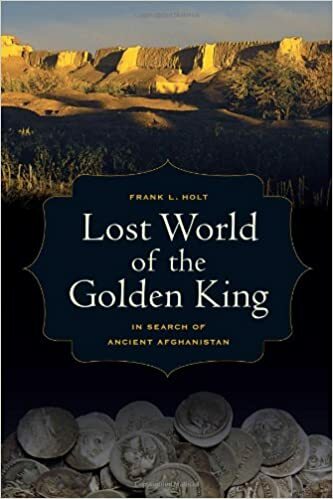 I just found new book (at least for me ) about Hellenistic Bactria called Lost World of the Golden King by Frank L. Holt. 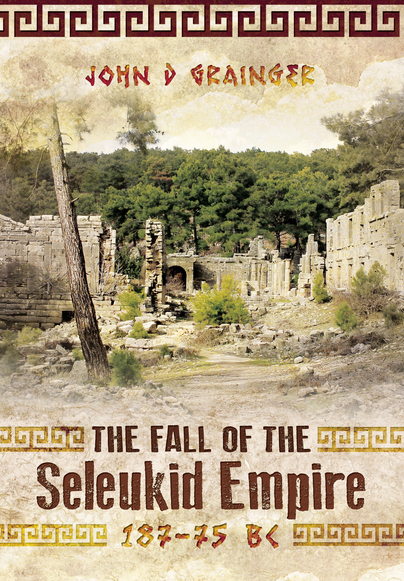 Grainger's books are amongst the best when it comes to the hellenistic east. That other book about Bactria looks interesting too. just bought the first volume and this seems to be available on the amazon already.